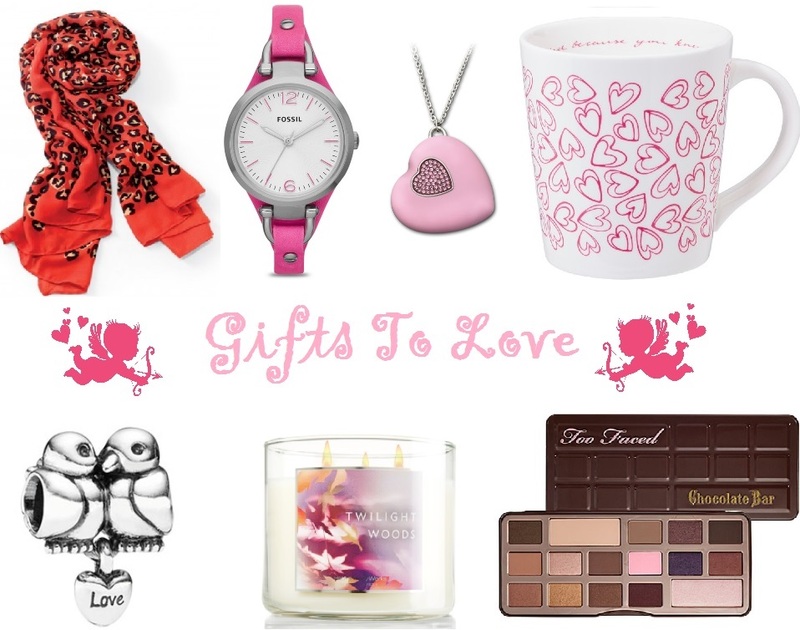 Spread the Love: A Valentine’s Day Wishlist! No significant other? No problem! Gone are the days when you needed to be in a relationship in order to celebrate, what I consider to be, the cutest day of the year. More and more, people are choosing to nominate their best friend, family member, or co-worker as their “Valentine”. I decided to put together a short list of items that I think would make great gifts for any of these people, or even fun purchases for yourself. And hey, if you are in a relationship, keep in mind this link would make a great post on your significant other’s Facebook wall, or a nice addition to their email inbox (a subtle hint never hurt anyone, right?). This scarf is a fun addition to any outfit year-round, yet it’s somehow especially cute when worn in the month of February (the leopard-like pattern is actually a series of hearts!). The best thing about giving or receiving a scarf, is that it’s versatile: you can wear it a variety of ways. Whether it be around your neck, tied to your purse, or over your shoulders, the possibilities are endless. Stylish, functional, and wearable: this watch has it all. Oh, and did I mention it’s currently on sale on the Fossil website for $39.99?! The band is made of sturdy leather, and the face/band size allow for layering with other bracelets. Another thing I love about Fossil is the 11 year warranty on their watches, which means you’ll have this piece for many Valentine’s days to come. In my opinion, mugs make one of the nicest gifts. You can use them pretty much every single day, and they allow you to remember special moments, people, and events in your life. This cute mug from Indigo is covered with hearts on the outside, but holds a cute message around the inner rim: “When I saw you I fell in love, and you smiled because you knew”. A tad cheesy for your liking, or too inappropriate to give to a friend? No worries, try this one instead! Another great perk? These mugs are dishwasher and microwave safe (because no one likes a gift that’s high-maintenance). Another great gift when celebrating special moments or events, is a Pandora charm and/or bracelet. This adorable Love Birds charm is made of sterling silver, and has a dangling heart with the word “love”. If you or your Valentine don’t already own a bracelet (or if you/they prefer necklaces), keep in mind Pandora’s charms can be worn as pendants too. Candles not only fill the room with scent, they also create an ambiance that makes you say “ahhhh”; you can’t help but relax. The problem with purchasing candles as gifts for other people however, is that you have to hope the scent you chose for them isn’t headache-inducing. Say goodbye to the guesswork! Twilight Woods is one of Bath and Body Works most popular and preferred fragrances. It’s described on their website as “A hypnotic blend of apricot nectar, mimosa petals and Tuscan cypress inspired by the enticing warmth of woods at twilight.” The 3 wicks ensure the candle burns evenly (so you get your money’s worth), and they have a burn time of 25-45 hours. Back in the day, there were mix-tapes and CD’s filled with cute songs. These days, there are much smaller, cuter ways of sharing music, photos, and sweet-nothings. 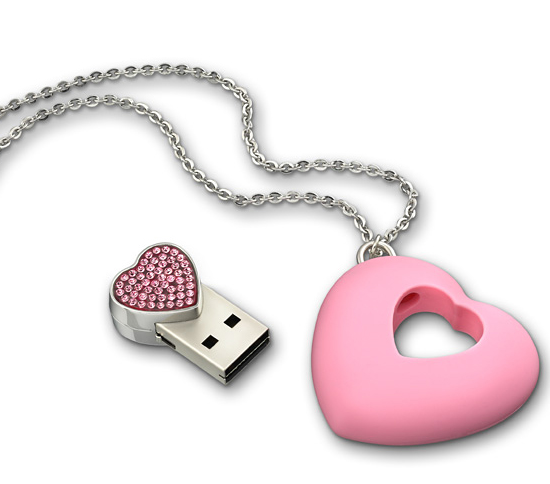 This awesome pink heart pendant from Swarovski doubles as a USB drive. Fill it with your own items, or pre-load it with fun mementos for the person you’re giving it to. It comes in a variety of colours, is embellished with 54 crystals, and has a 4GB capacity. Two ways to my heart are makeup and chocolate, and this pallet happens to combine both. Formulated with real cocoa powder, these smooth, scented eye shadows (there are 16 of them) are a variety of textures and tones that are extremely wearable. The shadows are packaged in a fun case that looks like a giant chocolate bar, and also includes a card with how-to’s for 3 chocolate-themed looks. Chocolate without the calories…I’m in!